I’m sure my husband would roll his eyes over this review as he thinks I don’t need more scarf in my closet since I’ve got more than what he thinks I own. He must be right, however I’m just a human being and I have a weakness, I can’t stop whenever I have the opportunity to review a new scarf. I’m glad that NIMLI has offered me to evaluate one of their fine scarf merchandise online. I love this kind of accessory since I can use the scarf in so many ways. Aside from the fact that I learn something about the company, it’s also nice to gain knowledge about how they are devoted on having such good quality of their products. They ensure that customers are always happy with what they acquire from them. 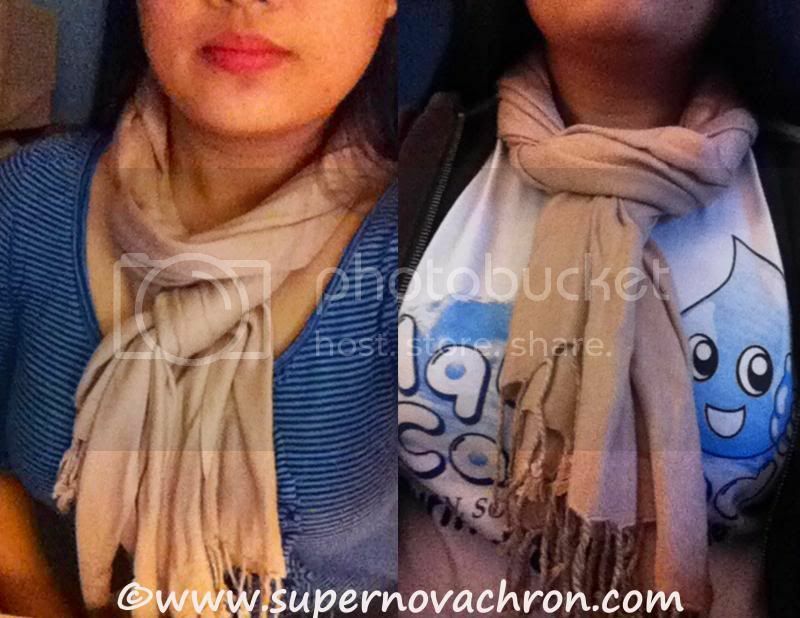 They offered me to review their top seller Kitara Solid Fringe Scarf – Taupe. In fact, this comes with plenty of colors, hence; I certainly choose one of my favorite colors, which is Taupe. I find the scarf color cool and will go into different tops/blouse I wear. This finely woven fringe scarf will keep you warm and looking incredibly polished whatever the occasion. The natural qualities of the viscose pashmina provide warmth, softness and durability while also adding elegance and beauty. Expertly woven with only the finest viscose which can be used all year and for any occasion. due to the amazing versatility & practicality of this fringe scarf, anytime is a good time - day and night, while traveling and at home, formal events and casual outings, as a wrap, shawl and scarf. A timeless, must-have piece that you can always carry with you. 100% viscose. 72 inch length x 22 inch width. fringed ends. imported. dry clean. Price: $15.00. Within a few days after the email exchange, I receive the product in the mail. I was surprise and impress of how fast the shipping is. I do really appreciate companies who can send their products on time or beyond your expectations. Therefore, this is a big point for NIMLI about how they ensure that their customers will not wait forever. I love how soft and long and wide the scarf is perfect for cold weather. I did use this when we had our bowling last week and it serves the purpose of a scarf and a shawl. I love how comfortable and warm it covers me. Overall, my experience with NIMLI: KITARA Solid Fringe Scarf is wonderful, worth the money and of course worth to add in your accessory. Still NIMLI never fails you into anything; they have plenty of merchandise online. It’s just like one of the convenient way of shopping online; you may always visit the online store. #NIMLI is sponsoring a giveaway on my blog and 1 lucky winner will be able to get her/his own Kitara Solid Fringe Scarf choice of his/her color. All you have to do is gather more entry by entering in my rafflecopter. Starts on March 23, 2014, 12AM EST and ends on April 7, 2014 12AM EST. Opens to US residents only. Please follow them on Facebook, and Twitter to learn more about them. A disclaimer: This is NOT a sponsored post. 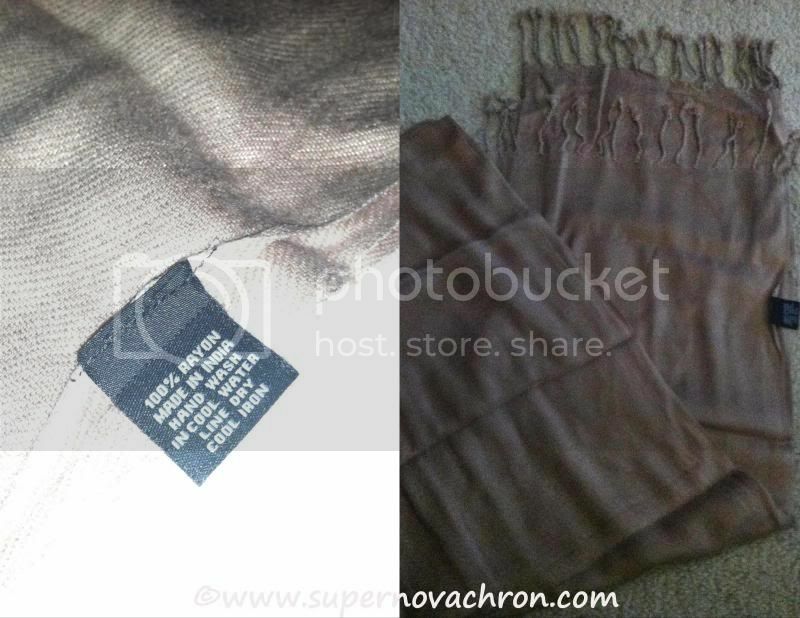 I received the Kitara Solid Fringe Scarf for free in exchange of my honesty review. The outlook I expressed is 100% exclusively mine. Nice scarf there. I wish it was a worldwide give away so I could join. Oh well, anyway, have fun with your latest addition to your scarf collection! Hahhaha, don't worry my husband rolls his eyes all the time I have something new that he knows I don't need it.I like the color of your scarf. THat's pretty, not fond of scarf but that looks good on you. that looks like a pretty neat scarf mami...my husband would say the same thing...lol! don't worry Novs, I am like you, I can't have too much scarf :) love your choice. See, I can get anymore stuff because my closet is full, I need to trim down lol. But you can always sell them on eBay, oh diva lol. Nice scarf you got there. Who would turn down a scarf if its free? I would do the same thing if I were you though my closet is already full, lol! I would get the wine. That is my favourite colour to wear. It makes everything look so elegant. That looks so lovely on you, Novz!